Dimensions 1.12 by 6 by 9 in. 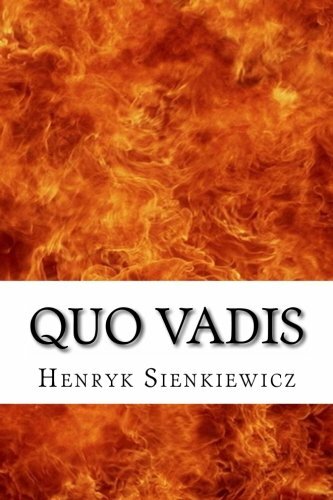 Amazon.com description: Product Description: In "Quo Vadis" the author gives us pictures of the conflict of moral ideas within the Roman Empire,-a conflict from which pagan immorality declined, and Christianity proceeded as the leading force in history. This powerful novel tells of a love that develops between a young Christian woman named Lygia and Marcus Vinicius, a pagan Roman. It takes place in the city of Rome under the brutal emperor Nero's rule.